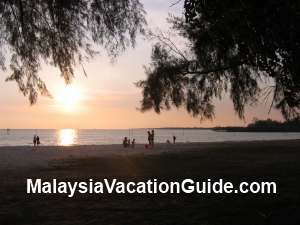 If you have a few hours to spare and would like to do a day trip to a beach near KLIA or KLIA2, head for Bagan Lalang beach which is less than an hour away by road. Although this beach is not suitable for swimming, it is still a good place to unwind after a hectic day of work. The sandy beach during low tide. Another view of the beach in the late afternoon. Stay here and enjoy the breeze of the sea as well as taking some photographs after sunset. The GPS coordinates of this beach is N02° 36.386' E101° 41.277'. There are parking bays that you can use. 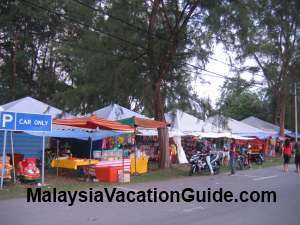 During weekends and public holidays, there are mobile stalls that are set up along the road near the beach that sell kites, clothes, shoes, sandals, food and drinks. During low tide, you can walk towards the sea. Just beside the beach is the 5 Star hotel which is built 1km towards the sea. 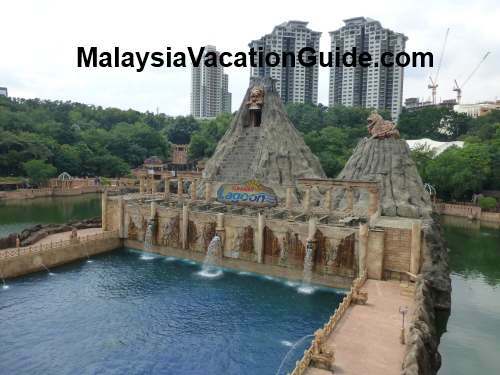 Known as The Golden Palm Tree Resort & Spa, it is managed by Swiss-Belhotel International. Walk-in rates are much higher than if you were to book online. 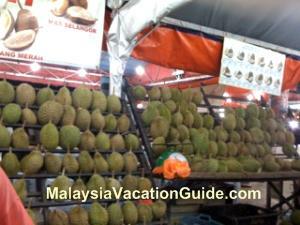 Another hotel nearby where you can stay for a night or two is Seri Malaysia. This is a 3 Star hotel. 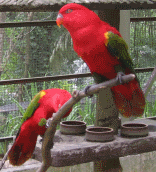 There are other hotels within the vicinity of the airport. 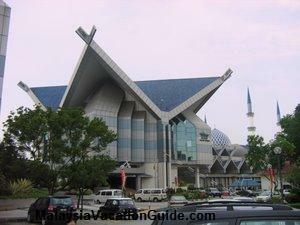 Check out and compare the rates of the hotels in Sepang here. 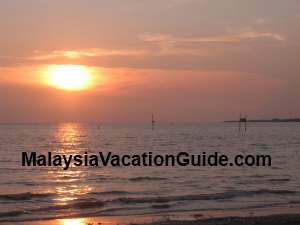 The other coastal town nearby is Tanjung Sepat, a fishing village with seafood restaurants which is located north of this beach. 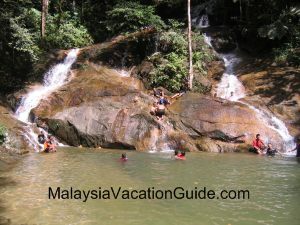 Further up north is Morib beach. 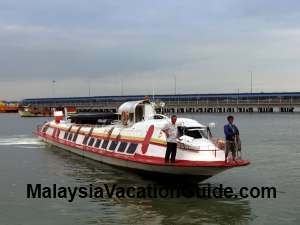 If you have your own transport you may want to consider taking a drive and do a day trip to Banting, Morib beach and Tanjung Sepat. 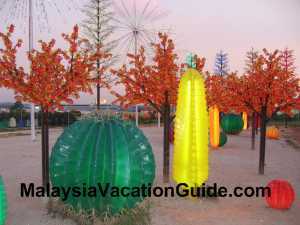 These coastal towns are usually crowded with visitors from outstation during the weekends and public holidays. Stalls selling kites, food and drinks along the road parallel to the beach. The 5 Star Golden Palm Tree Resort and Spa is visible from the beach. 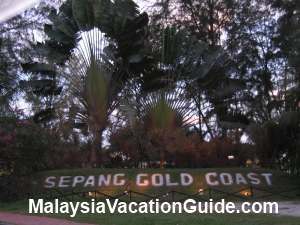 The Sepang Gold Coast is the developer of the resort.